EVs (Electric Vehicles) are great vehicles for short range applications such as golf courses, private estates and airports. They are suited for this application due to their slower speed and ease of use and maintenance. 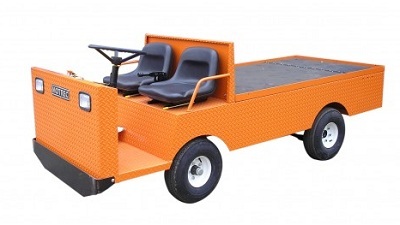 Burden carriers are the kind of unusual electric vehicle often seen at airports with seating for two and a large flatbed load carrying area. Burden Carrier Batteries fitted from the factory are often manufactured by Trojan, Crown or US Battery. We have created an EV battery finder which will enable you to select the correct battery for your electric passenger vehicle. Simply selectb the brand and model of NEV from our options and we will show you a suggested battery.